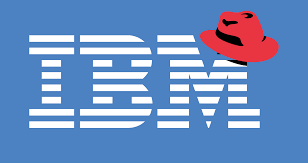 Red Hat acquisition by IBM is again a need of time play as for being competitive and sizable in the market and simultaneously diversify the portfolio. Cloud is also a disruptive business as everything is on software now, focus to hybrid cloud id new norm in this business. IBM with the acquisition will diversify itself and keep the challenges before market. As, Arvind Krishna, senior vice president of IBM's Hybrid Cloud, repeatedly stated that Red Hat would continue to support current deals it has with cloud providers even if they are direct competitors to IBM's hybrid cloud ambitions. He also noted that IBM's cloud platforms would not gain any technology advantage compared to what Red Hat is offering to other cloud providers. Those claims will be a focal point for the market as IBM will need to tread carefully on how it integrates Red Hat into its own operations as it looks to remain competitive against larger rivals like AWS and Microsoft. Conde said that if done correctly, Red Hat provides IBM with some diversification to help offset some of its other businesses that have lagged. Its flagship product is the Red Hat Enterprise Linux operating system (RHEL), which is based on the open source Linux kernel. According to an IDC report, RHEL trailed only Microsoft in terms of worldwide market share in that space at the end of 2017. However, RHEL has seen a significant slowdown in terms of overall growth, though Red Hat's management said that dip was cyclical in nature due to the platform's subscription model. Red Hat also has an OpenStack distribution. It recently combined that platform with Juniper's Contrail Enterprise Multi-Cloud platform to provide a managed system to help deploy and run applications and services on any virtual machine (VM), container platform, and any cloud environment. Red Hat also jumped early on the containerization bandwagon. It signed up to support both the Docker container platform and Kubernetes container orchestration platform when both were still in their infancy. Those efforts are now part of its OpenShift platform. OpenShift is a cloud-agnostic container development platform that allows enterprises to manage the migration of containerized resources between their on-premises equipment and the cloud. It competes in the space against rivals like Pivotal, Docker Inc., and Rancher Labs. Red Hat has struck a number of deals with large cloud providers to integrate OpenShift into those platforms. This includes a deal last year with Amazon Web Services (AWS) that provides OpenShift customers with direct access into a handful of AWS services, and similar agreements earlier this year with both Microsoft and IBM.